So these are not in the least bit paleo, gluten free, or good for you. They are however astonishingly good! They are also really easy to make and share. I took a batch to work and they were a hit. 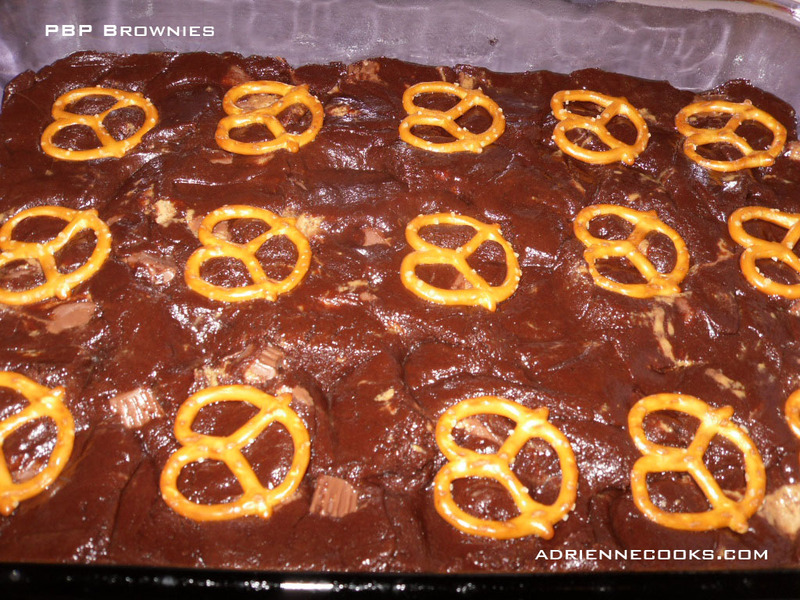 I Like the salty crunch the pretzel adds to the brownie. I contemplated adding more peanut butter cups but decided on 9. I may try this again with a smaller pan, say a 9 x 9 and doing an entire layer of peanut butter cups in-between two layers of batter, and maybe pretzels on the bottom and the top… Hmm… They seem ripe for modification but they’re plenty good as written. Give ‘em a try and you’ll see! Spray a 9 x 13 pan with non-stick spray and preheat your oven to 350 degrees. Cream butter and sugar in your stand mixer, add eggs one at a time, beating well after each addition. Add your milk and beat well. Combine your dry ingredients and mix in on low. I do this part by hand so I don’t over mix. Add your chopped peanut butter cups and stir well. Spread in your pan evenly. 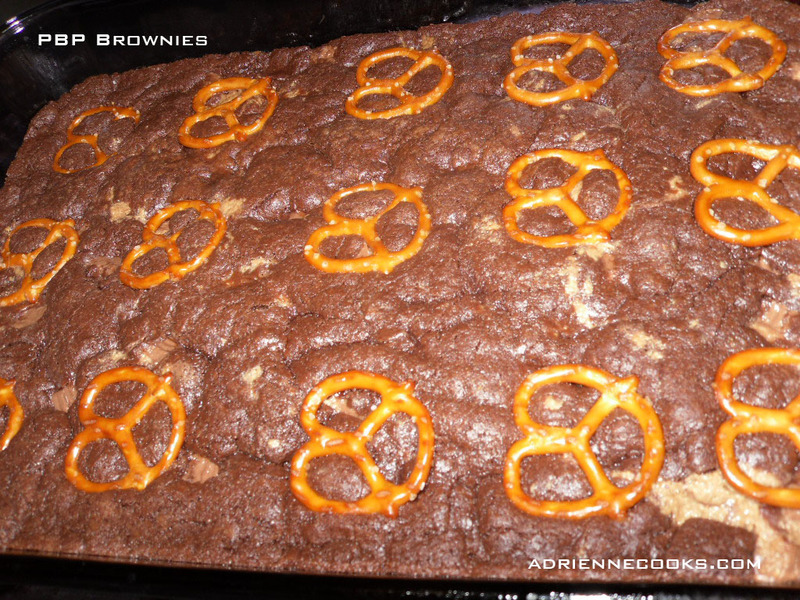 Place one pretzel twist on the top of each brownie space. 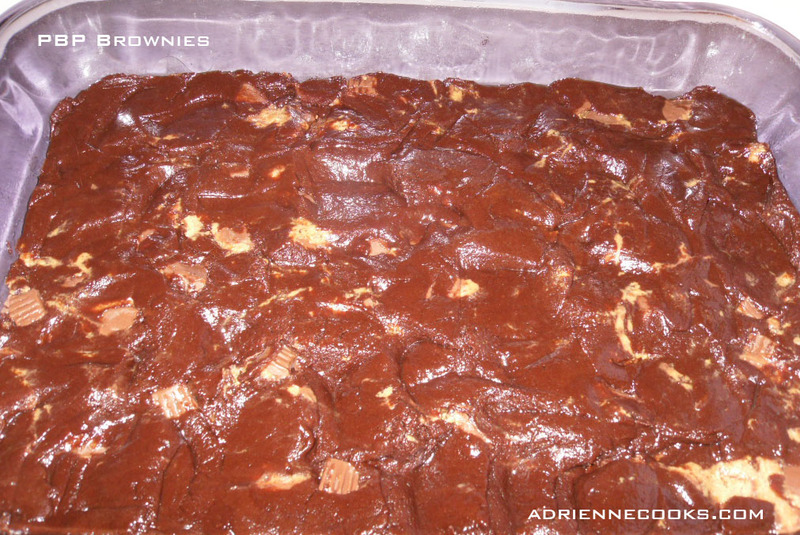 I go three across and six down, making 18 generously sized brownies. Bake for 18 to 25 minutes or until wooden pick inserted in center comes out slightly sticky. Cool completely before cutting. These look so good! You can’t go wrong with chocolate and peanut butter, I love the addition of pretzels!